I have always been lazy. Humans have progressed as far as we have because we have worked at developing technology that means we can do less. Most innovations come from wanting to make things easier. Losing weight or staying healthy can seem too labour intensive but if you implement safe guards like portioning food into individual bags, carrying healthy snacks in your bag, planning ahead and eliminating one bad habit at a time, even the laziest person can improve their health. The core principle is perseverance ...think of all your achievements...you likely got there because you didn't quit! That's all there is to it...really....not much effort, just endurance in your mental strength. BMI and waist circumference (and ratio) are great guides for determining whether you are healthy. Although these are not fool proof, they can be a great starting points to determine whether you need to start making changes toward a healthier lifestyle. 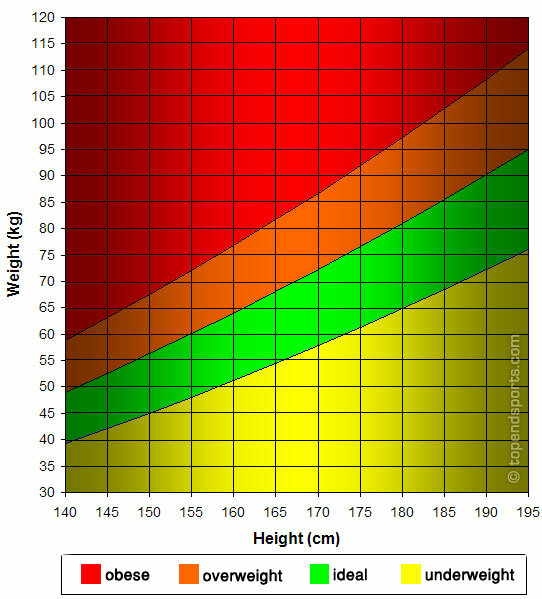 Your waist circumference should not exceed half of your height. This applies to both men and women. So for example, if you are 170cm tall, your waist circumference should be no more than 85 cm. Once you have determined whether some changes are required to either gain, lose or maintain weight, then you can start planing your new lifestyle. An important part of a healthy lifestyle is to make good choices at the supermarket - therefore you will not have things in your home that will tempt you to make bad choices.If you make good choices at the supermarket, it really takes little effort to be healthy...as all of the food available to you at home is good for you. When visiting the supermarket, you could essentially just shop around the perimeter. Visualise the layout of your local supermarket...all of the natural unprocessed foods are along the outside of the store. Obviously we can't avoid the centre isles but make sure you have a list and you stick to it and you go through these isles after going around the perimeter. Choose whole grains, lean meats, and low sugar items - fat is tricky as it is often portrayed as bad but just avoid saturated and trans fats and you should be fine. Sodium:for a low sodium diet look for less than 400mg per 100g. A moderate sodium content is around 600mg/100g – preferably don’t give children cereals with more than that. Fat: Aim for 2g or less saturated fat, and 5g or less total fat per bar. Bars containing lots of nuts can be high in total fats but they’re predominantly the ‘good’ fats. Sugar: Look for bars with 9g sugar or less. Some bars contain with 40-50% sugars by weight (15-19g sugars per bar). Low total fat: Aim for less than 5% fat (i.e. less than 5g per 100g) for everyday use. For other occasions you’ll still find a wide range at less than 10% fat. Low saturated fat: There’s a whole range of crackers with less than 1% saturated fat. When looking at a particular style of cracker, go for the least saturated fat. Low sodium: To reduce your sodium intake look for a realistic serving size that provides less than 160mg - that’s 10% of the recommended upper daily intake. Low fat: 55% fat or less. Note that if you’re replacing butter in baking you’ll need a spread with around 60% fat. NOTE: I also compare calcium levels, sugar and prioritise those with probiotics. A flat teaspoon of sugar weighs 4 grams. Watch out for: No added sugar. Means just that - they didn't add any. Don’t assume that means no sugar. The product could still contain lots of natural sugar, like in dried fruit, honey or fruit juices, so check the nutrition information panel. Lazy meal maker - an online tool that lets you put ingredients that you have in your pantry/fridge and then generates recipes that use those ingredients. Enjoy the rest of your week and don't forget your mum on Sunday!